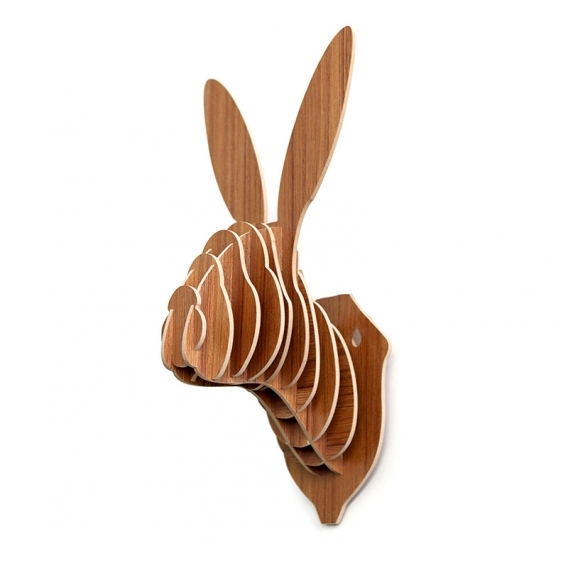 Succumb to this rabbit head deco for your interior ! This design wall trophy out of our wood collection is entirely hand made. The dimensions of this modern wall decoration are 45 x 21 cm. As a kit, it only takes a few minutes to put together and hang up this contemporary wall decoration. 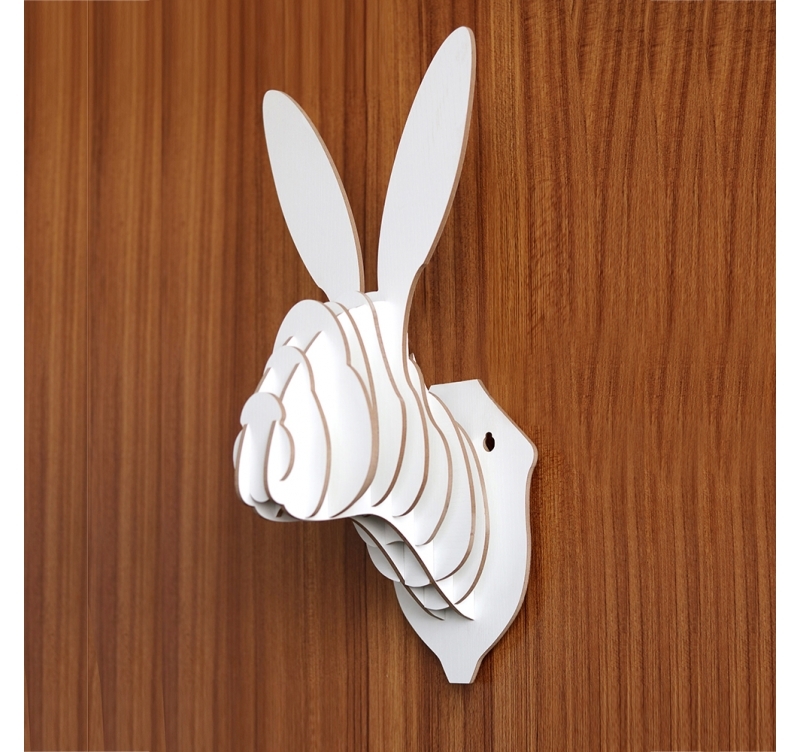 One of children’s favourite animals, the rabbit, as a design wall decoration ! Bring life to you interior or the walls of your little ones’ bedroom with this wall trophy deco easily hung up. 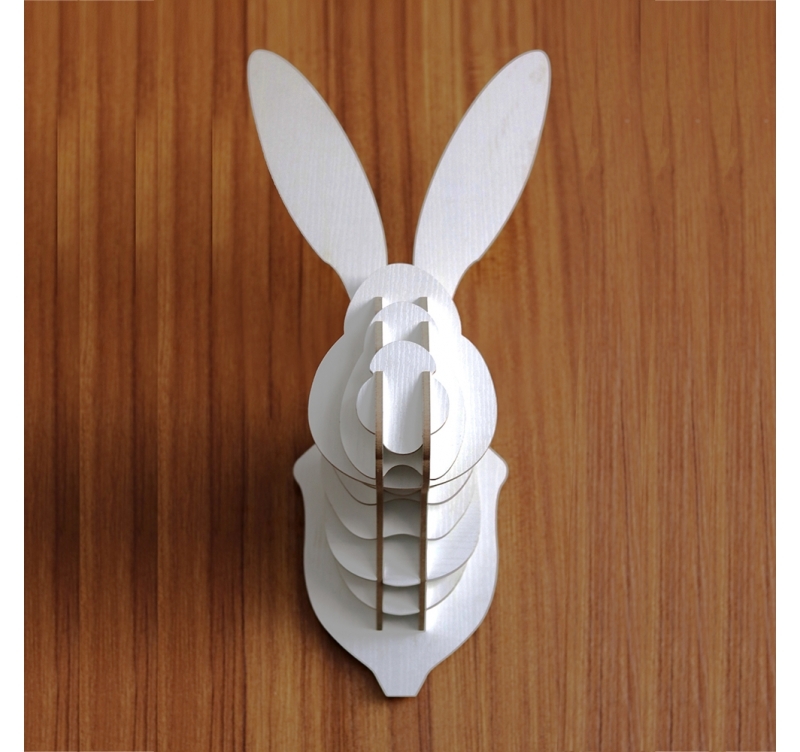 In 3D, this rabbit contemporary wall decoration will help you give some relief to your interior while keeping an original and unique aspect. These balls of fur that call for hugs all day long, can be found in a modern lounge deco entirely hand made by our artists. 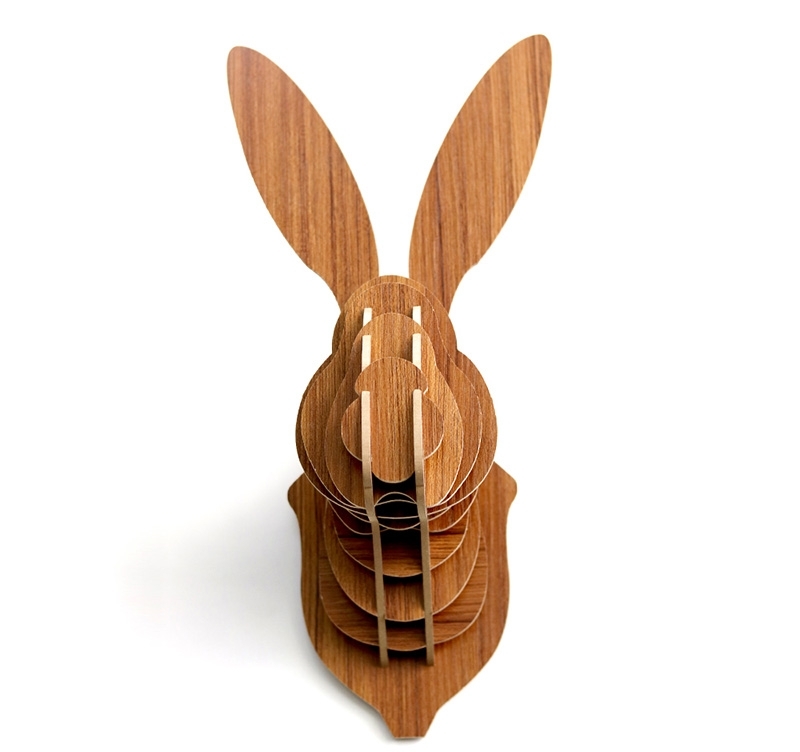 Very life-like this rabbit wall decoration is delivered as a kit so you can easily put it together in a few minutes. 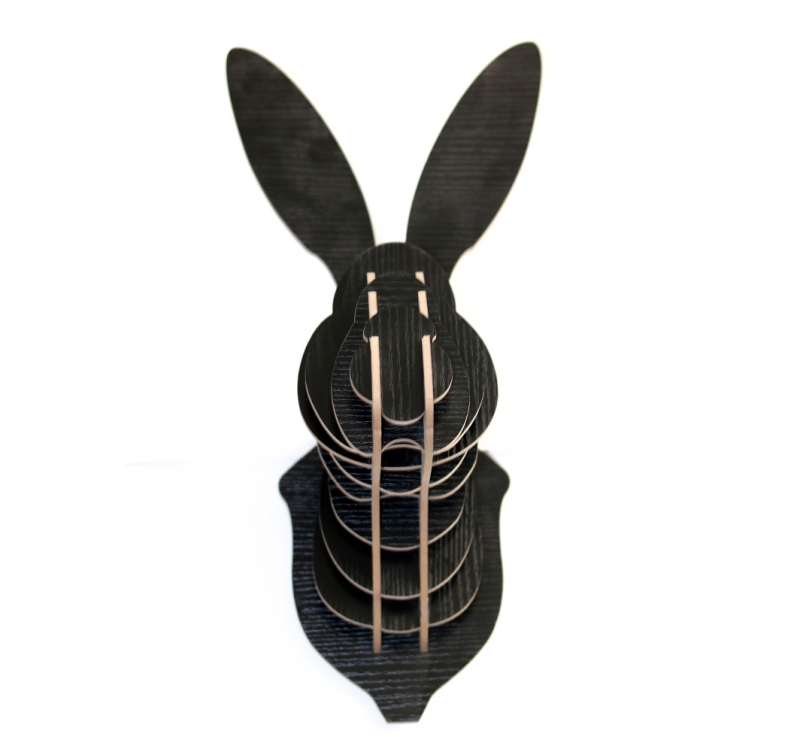 A hanging system is integrated to this rabbit modern deco to ease its hanging up. 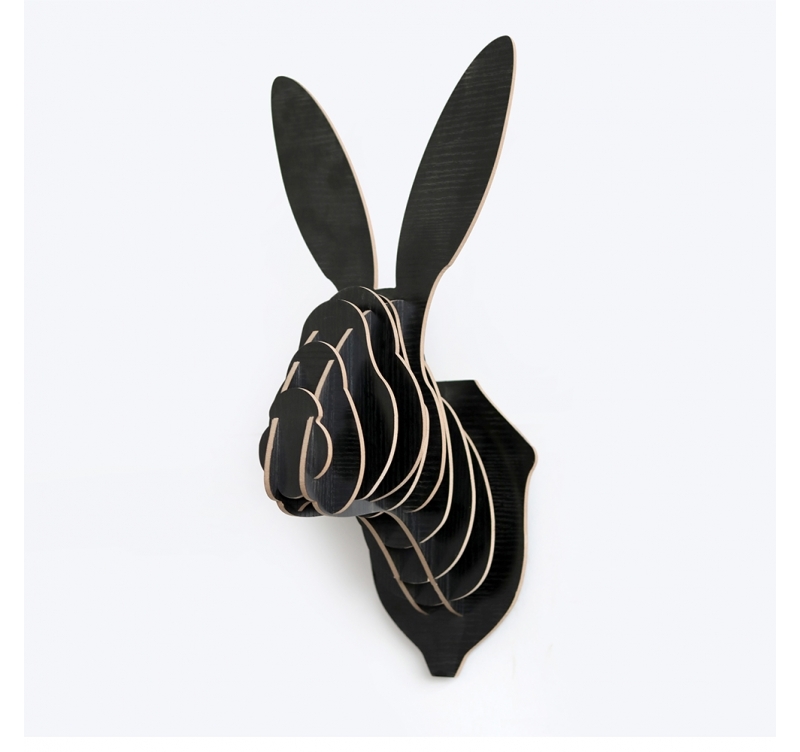 The delivery is free in metropolitan France and Belgium for this rabbit design animal head.